For the past 4 years, I assisted my children in getting a student permit, not realizing that rules have changed since last summer when my daughter got her student permit. This year, I discovered that a lot of things have changed. So, I'm sharing with you the new rules so you don't make the mistakes I made when applying for my daughter's student permit this year. 1. The applicant must at least be at least 17 years old. The old rules used to be that an applicant who's 16 years old is allowed to get a student's permit, provided one of the parents give his/her consent. But the applicant has to wait until he's 17 years old till he's allowed to get a non-professional license. The new rules state that the applicant for a student permit must be at least 17 years old and the applicant for a non-professional driver's license must be at least 18 years old. 2. A medical certificate is required. The medical certificate must not be issued 15 days or more from the time of the application. This means, if your medical certificate was issued April 1, you can use the medical certificate to apply for a student permit until April 15. The medical certificate can be issued by any licensed practicing physician. 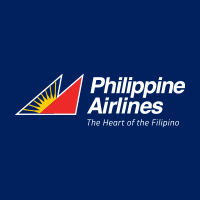 It's no longer required that the physician be an LTO accredited physician. So if you have a family doctor, your family doctor can issue the medical certificate for this purpose. 3. If an applicant is below 18 years old, only a letter of consent from the parent/guardian of minor, and not an affidavit of consent. A photocopy of 1 government issued card WITH SIGNATURE of the parent/guardian must be attached to the letter of consent. 2. I am giving my consent for him/her to apply for a student permit at the Land Transportation Office. 3. 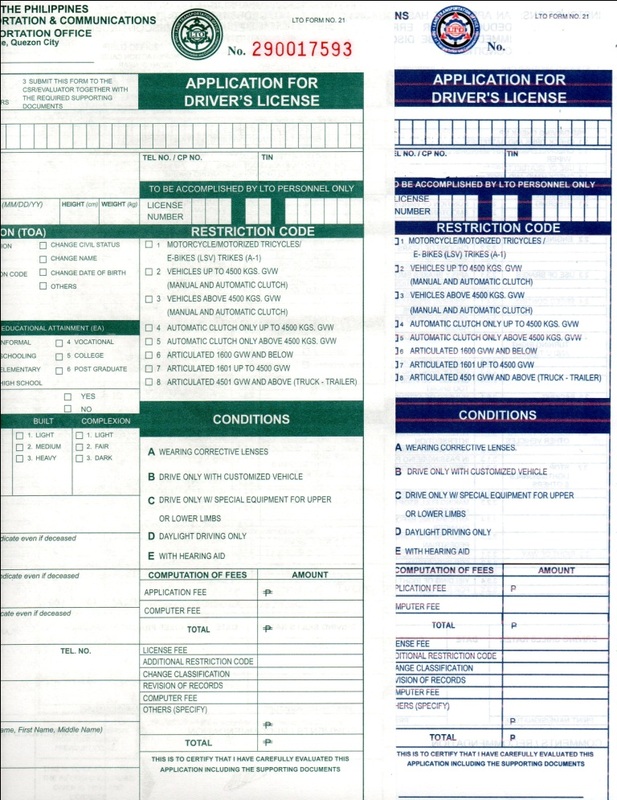 I am executing this document to support his/her application for a student permit. I, (name of the parent/guardian), mother/father/guardian of (name of the minor applicant), give my consent for (name of the minor applicant) for him/her to apply for a student permit at the Land Transportation Office. 4. 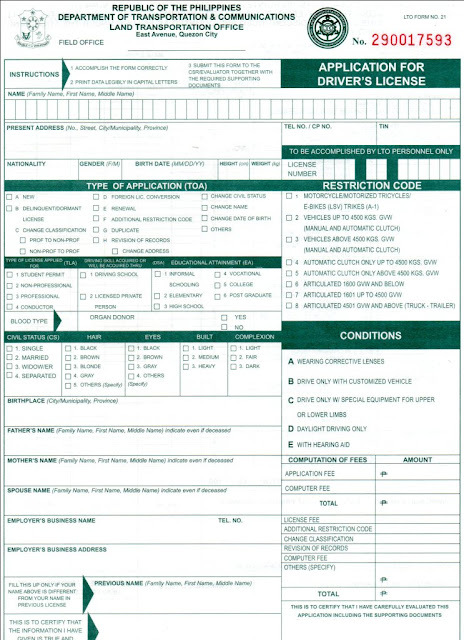 You cannot use the downloaded application form provided online and submit it to the LTO. The LTO now requires that application forms submitted to them shall be the ones provided by the LTO offices bearing the LTO control number. 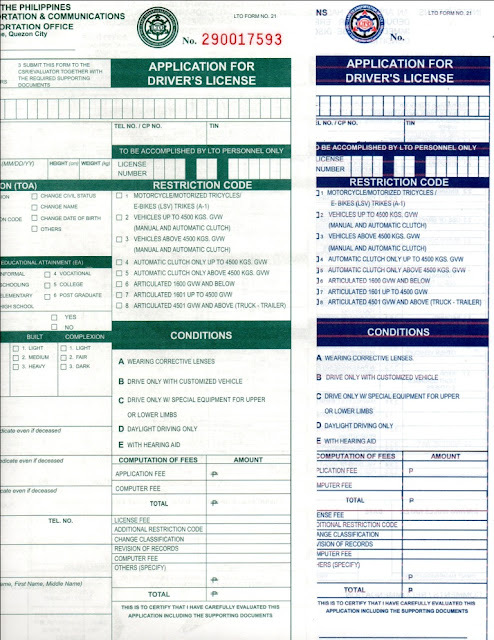 The official LTO application form with control no. 4. If the applicant is below 18 years, a letter of consent from the parent/guardian with photocopy of 1 government issued ID with signature. 1. Get a medical certificate in advance. 2. Get an application form in advance and fill it up before you arrive at the LTO office. 2. Go there at opening time, which is 8:00 AM. If you're there at opening time and you have a medical certificate and the an application form already filled up, you will beat the line and be ahead of all the other applicants. The other applicants will have to line up to get a medical certificate first and fill up the application form. In our case, it took us only 20 minutes to complete the process. 1. You cannot renew the student permit before it expires. 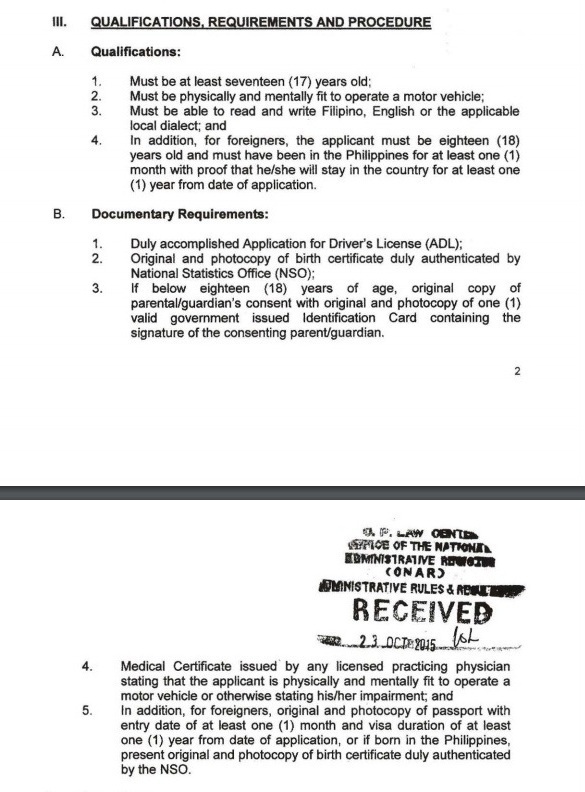 The LTO computer system does not accept applications for renewal until after the old student permit has expired, unlike in the case of renewal of driver's license.